I’ve talked a lot about the benefits of using mirrors in decor throughout my blogging journey, but I thought oversized mirrors deserved their own post because they are in a league of their own. Large mirrors have that “wow” factor that makes them statement pieces when added to a space. They naturally have a luxurious vibe that can make a space feel more elegant and grandiose. Besides reflecting a lot of light back into a space and making it feel more open, they also bring a lot of character with them regardless of style. You can even use them in some unexpected ways. 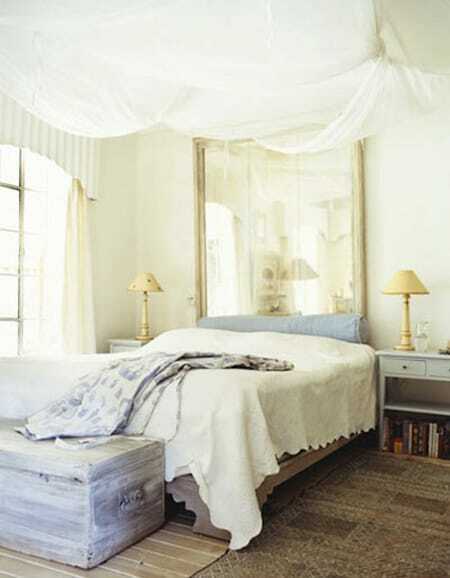 An antique oversized mirror works perfectly in this space as a unique and charming alternative headboard. No wallpaper, accent color, or artwork needed on the wall behind this dining room table when there’s a fabulous aged mirror to reflect that stunning chandelier. 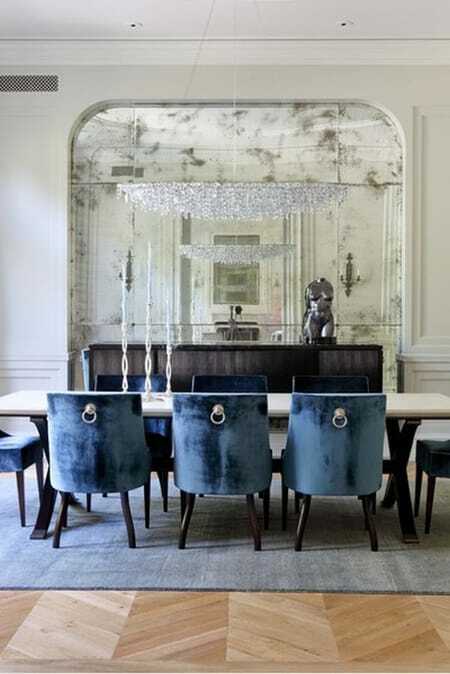 A large mirror can bring a casual elegance to a space like this chic dining room when leaned against the wall. Open up an entryway with a large mirror to make your home feel more grand the moment someone walks in the door. 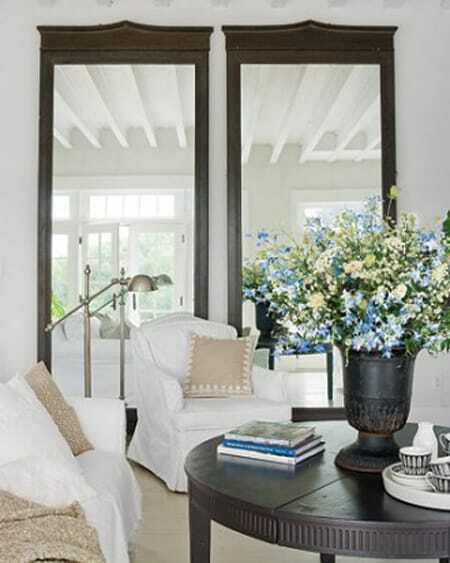 Two large mirrors side by side can bring the twice the amount of style to a space and easily fill up some empty walls. This awkward corner looks much more balanced with the lovely mirror accentuating the tall ceilings and filling the space with more light. There is no reason you can’t lean one mirror against another. In fact, in this bathroom it looks positively chic. Every girl needs a full-length mirror in her closet. This one is a perfect glamorous choice for the space. Here’s a great spin on the large mirror over the bathroom vanity: take it all the way from floor to ceiling and frame it. 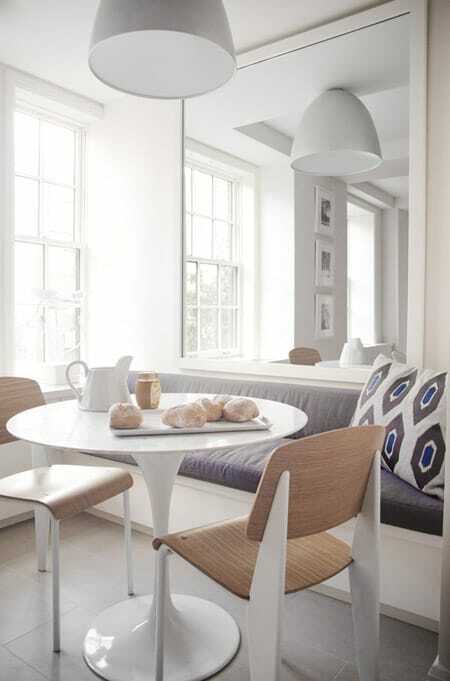 A small breakfast nook feels larger with the addition of a tall mirror over the banquette. Oversized mirrors bring lots of style and function to just about any space. What’s not to love?